We loved this article from Architectural Digest. So we thought we should update our previous blog post with some more ideas on how to photograph your boat like a pro. 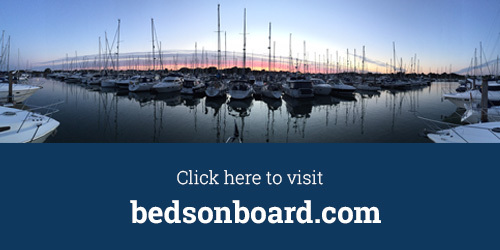 Your cover image is the first picture guests will see on bedsonboard.com so it must really sell your boat. It needs the wow factor. We recommend a full-length landscape shot on your boat at it’s berth (not moving). Another idea could be the view from your boat at sunset or on a sunny day. The subject of your cover image must be in the middle third of the image. Therefore allow plenty of space above and below the subject. Tip: Imagine a horizon line through the middle of your photo and get the boat sitting on that horizon! Having the photo in focus is, of course, and you’d be surprised how many photos we see that are not in focus. But this is about picking a focal point or subject. One thing in each picture that sets up the shot. Something the guest will be attracted to. It could be a folded towel on a bed, a bottle of wine on a table or the sun setting from the bow of your boat. Tip: Dress your boat for the photoshoot – it makes for great pictures and is good practise for when you have bookings! With ‘focus’ every picture should tell a little story (you will sleep here, you can have a sundowner here, this is the best view). But all your photos together should tell the whole story. Show the guest what they can experience by booking your boat. Tip: Imagine a guest walking up to your boat and take one photo of each key part of the walk, from the car park through to the bed and bathroom! By telling a story you are showing the guest everything they can experience but not all at once! Each picture should show one thing and where possible you should move anything that looks untidy or distracts from the subject, as we showed you in ‘focus’. Tip: Declutter your boat for the photoshoot (and probably for your bookings too)! Of course you could take up our offer of free professional photography (subject to location and availability). Call us on 0203 795 5006 to find out more, or to ask any questions about listing your boat with us. Or head to bedsonboard.com to create or update your listing today.